The Family Finder test is mainly used to get matches with relatives where you share ancestry within 5 generations, and to discover indication about ethnic ancestry through the MyOrigins component. What can the Family Finder test be used for? find out about ethnic ancestry via MyOrigins, however not accurate since the analysis depends on available reference populations. Many Norwegian testers experience that they also match many seventh to tenth cousins as well, especially if they share several ancestors within the same geographical area. Also note that because of recombination the matches will be more and more random the further back you get. 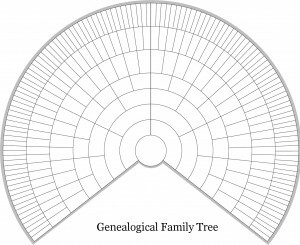 The blogger Blaine Bettinger (The Genetic Genealogist) has described how we have one genealogical tree (with all our ancestors), and one genetic tree (with the ancestors we have actually inherited DNA from). When we are 5 generations back and more, it will be random if we have shared DNA with people of shared ancestry. The ethnic ancestry of the ancestors marked blue will not appear in myOrigins. 5th and 6th cousins with common ancestry from either of the ancestors marked blue will not appear in your matches list in Family Finder. The Autosomes is the name of the 22 pairs of chromosomes we have that are not gender chromosomes. The complete human genome consists of approximately 2,9 billions SNPs, which can be analyzed. 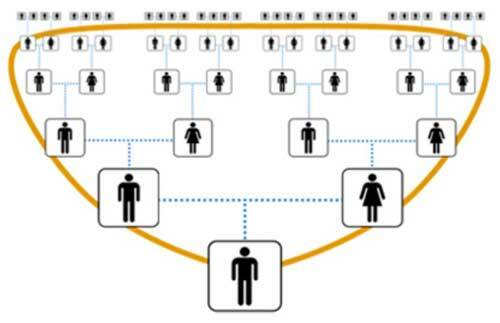 In the Family Finder test a selection of approximately 700 000 of these are analyzed, chosen from areas with good stability. An information video from Sorenson will in simple English explain how autosomal DNA is inherited through recombination. Contrary to Y-DNA and mtDNA which are inherited literally unchanged through ONE line in the ancestry tree, the autosomes are a mixed combination of practically all branches of our tree. Even if we do not inherit equal amounts of DNA from all ancestors, the DNA segments can come from any line and any ancestor, not only the direct paternal or maternal line. 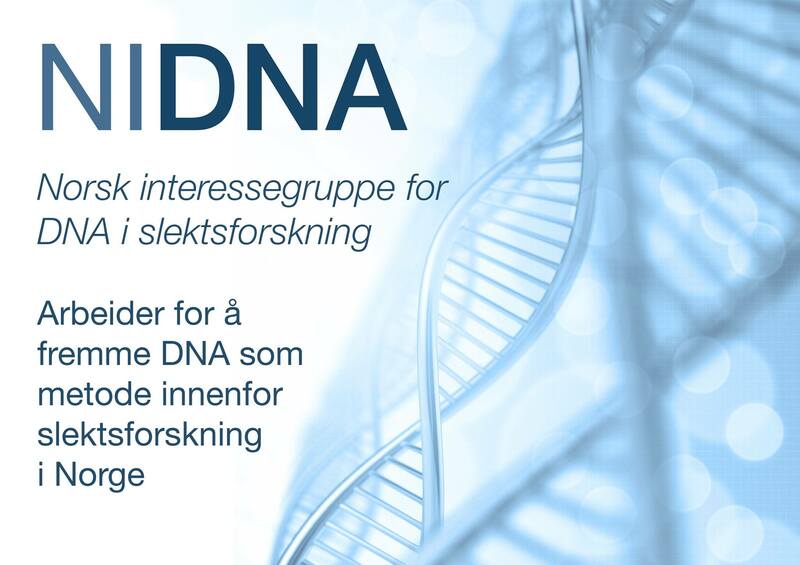 The results of the Family Finder test will give a list of matches of people in the databse you share DNA segments with. There will be matches with people related to you within 4-5 generations with very high certainty, and also a few matches with more distant relatives; here the matches are more random. If you share a common ancestor more than 6 generations back, there will not always be shared DNA from that ancestor, and this no match in the system. 23andMe explains in a simple video how the test relates to all lines in the tree. 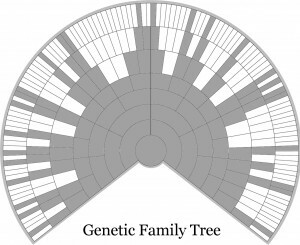 The 23-test is similar to FTDNA’s Family Finder, but includes SNPs that reveal health information. If you match someone with Family Finder, and the longest block in common is 10 centiMorgans or more, then it is probable that the two of you share a common ancestor, normally within 10 generations or closer. longest block under 10 cM: might show “populational match”, e.g. descending from the same population, but too far back to trace common ancestry. Might also be IBS; see below. We strongly recommend uploading a GEDCOM-file with all known direct ancestors which will be visible for all your matches. You can adjust the GEDCOM to only show initials for the most recent generations. We do have a lot of direct ancestors looking some generations back, and not everyone will know all of these for 7-10 generations. The list below shows how many direct ancestors we have in theory, and with generation age set as approximately 33 years for simplicity, with grandparents born around 1900. Generation age of 25 years will give 20 generations around 1500 AD and not 1300 as shown below. In reality the number of actual direct ancestors will be much lower due to Pedigree Collapse. The population in Norway is estimated to have been around 150 000 after the Black Death in 1350. Consequently, the probability of being distantly related will be very high for people from the same area of Norway. Is a Match always a Match? See dna-footprints.com for a longer explanation, blog by Kasandra Rose. 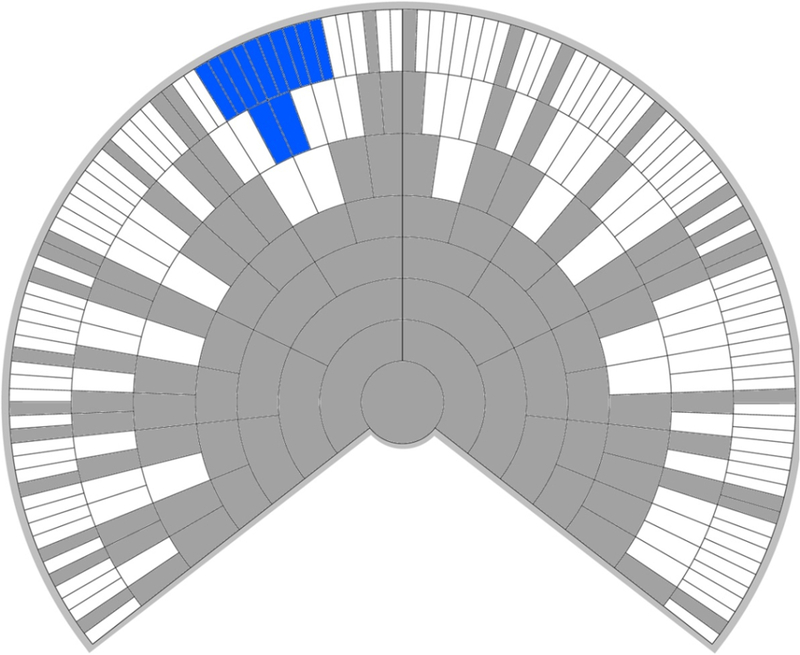 Statistics for autosomal matches and shared DNA (ISOGG’s wiki). ISOGG: Comparison of autosomal tests from FTDNA Family Finder with 23andMe Relative Finder, Ancestry DNA (ISOGG’s wiki).